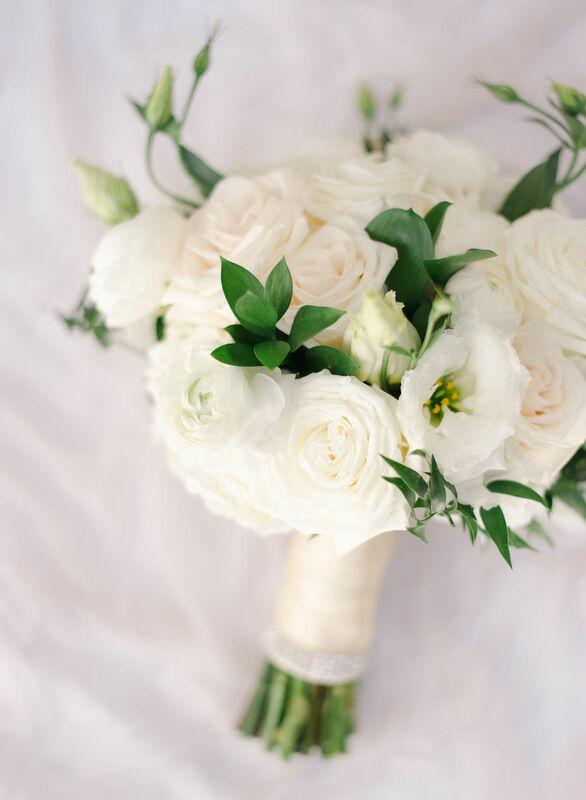 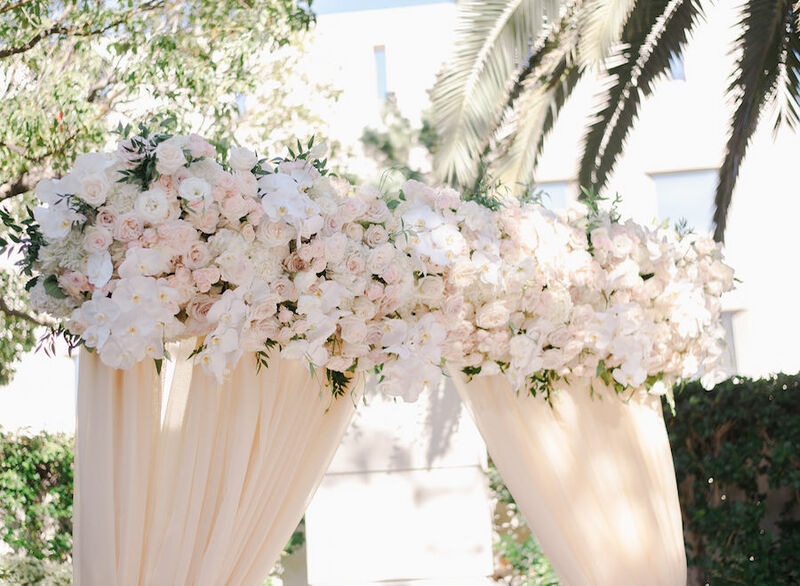 The white aisle, framed with delicate rose petals, had an embellished’ in the middle for the shared surname the couple would both hold after their marriage celebration. 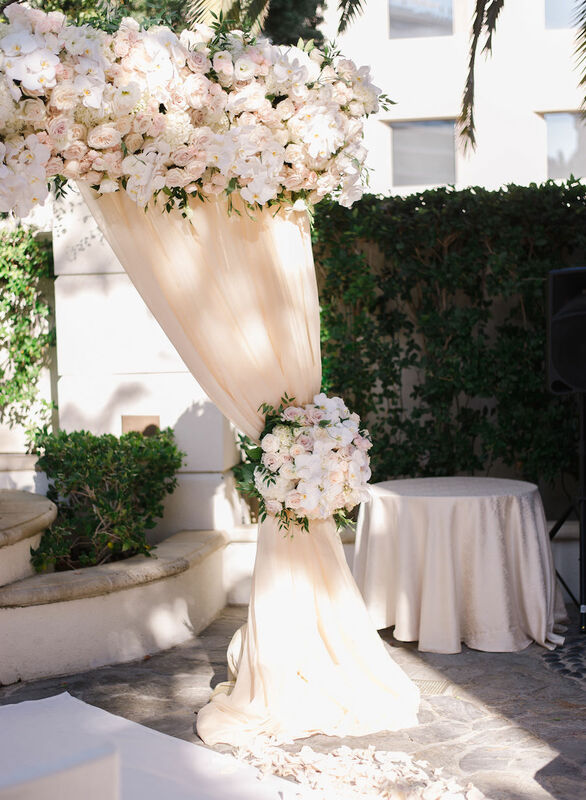 The beautiful linen dressed altar stood with thick drapings that were pulled and held with a large floral arrangement that mirrored the top floral frame from the same altar. 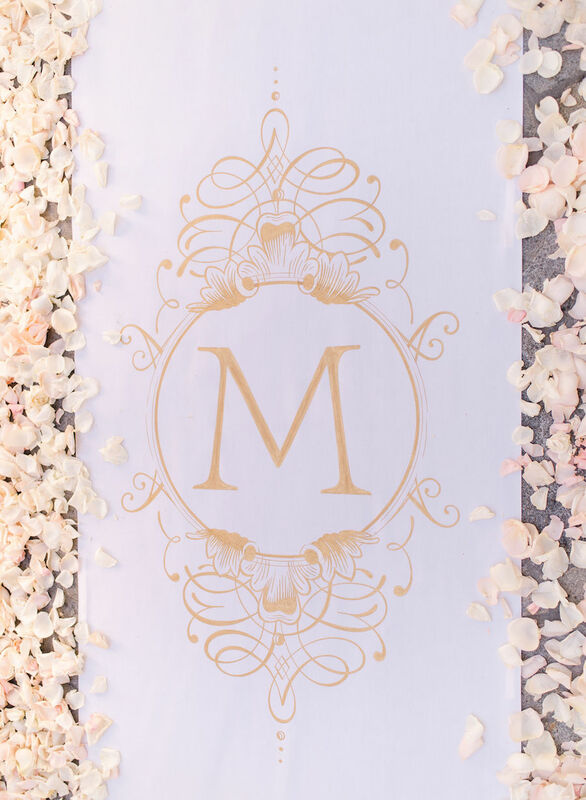 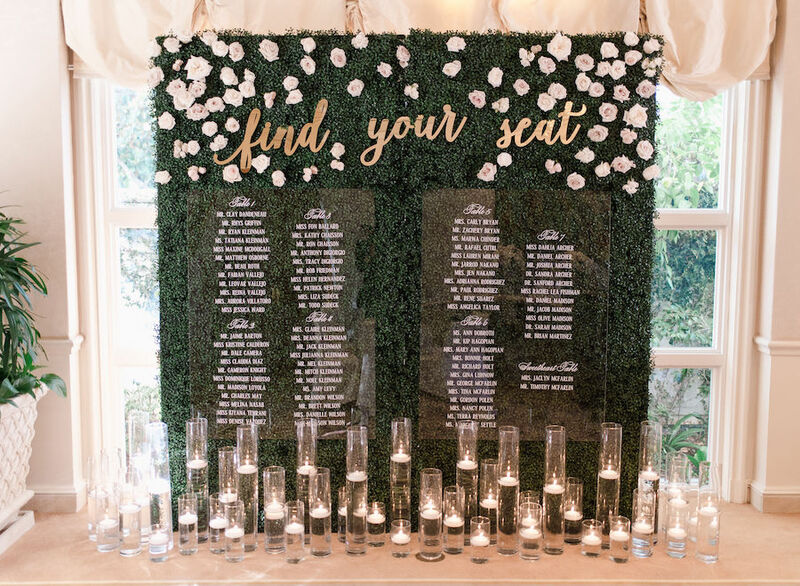 As the bridal party and guests entered the room where the reception would take place, a charming entrance awaited them with a floral wall marked “find your seat”. 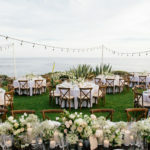 Written in white penmanship and held with a frame with floating candles, guests were able to find their seat inside the beautifully decorated room. 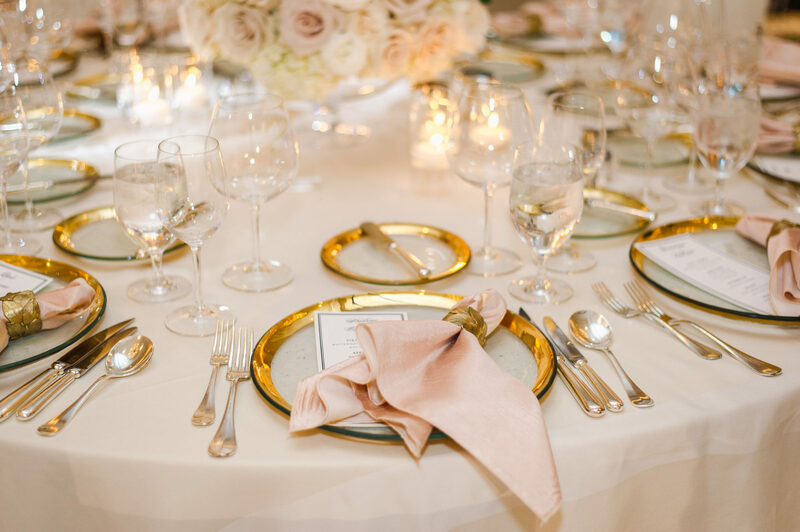 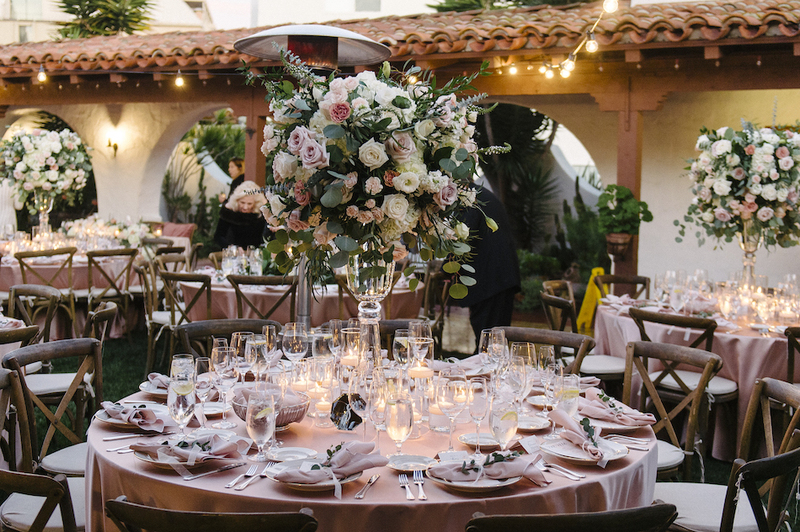 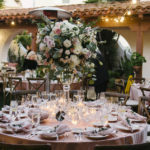 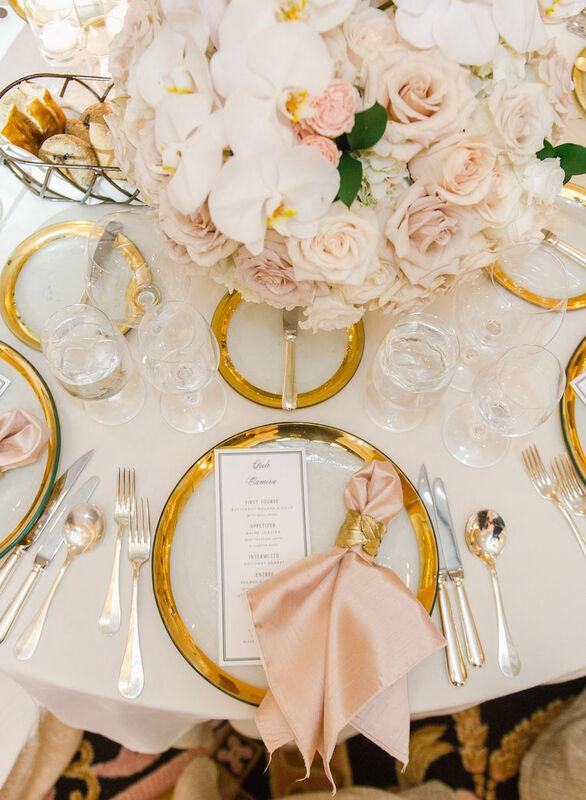 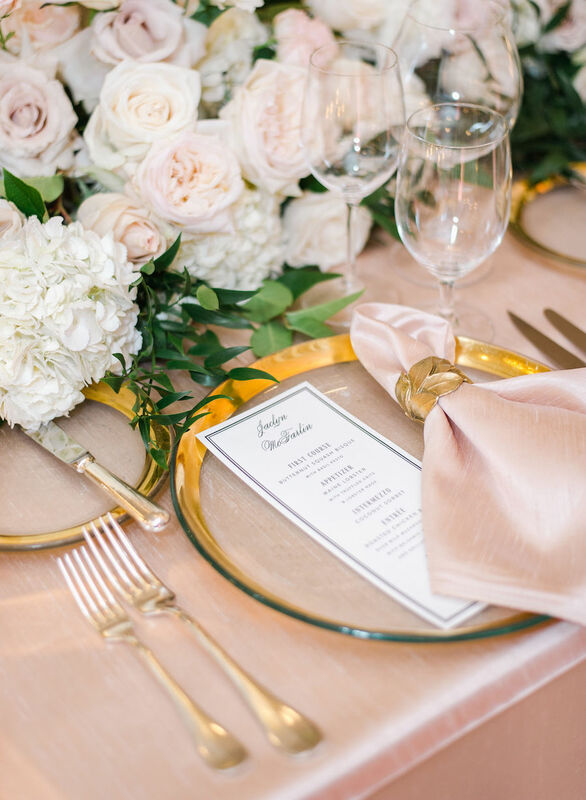 Each table was covered with off-white linen, dressed with gold accent dinnerware, and adorned with large floral arrangements composed of white and pink roses. 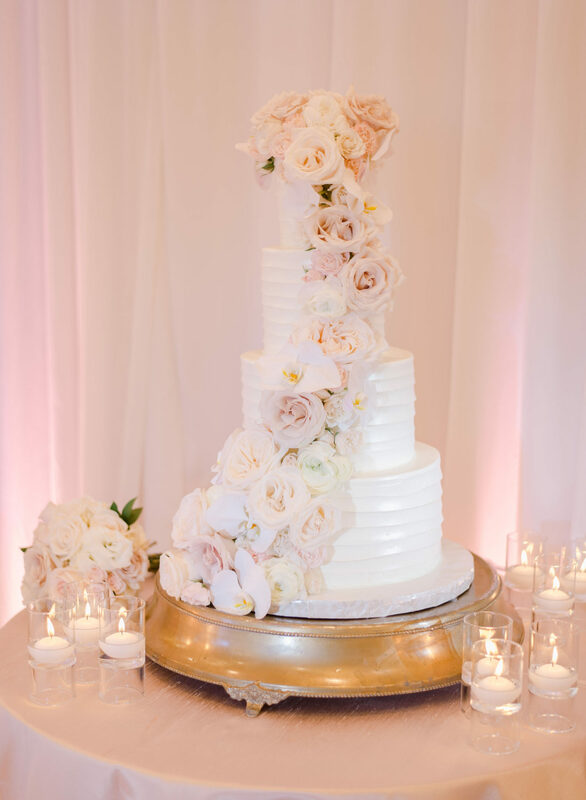 A sweet delight was the floral arrangement that ran up the four-tiered cake covering the white dessert with soft roses of the same color hues. 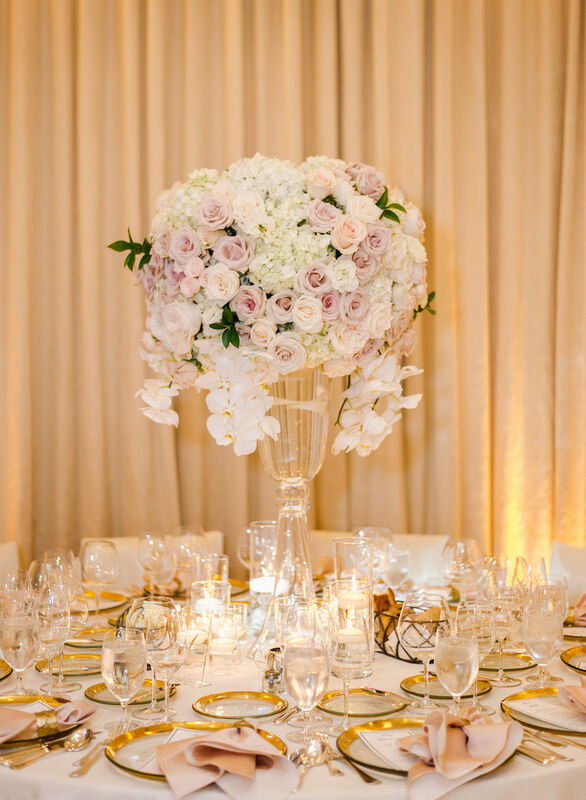 An abundance of floating candles on each table matched the sweet design and romantic ambiance of the room. 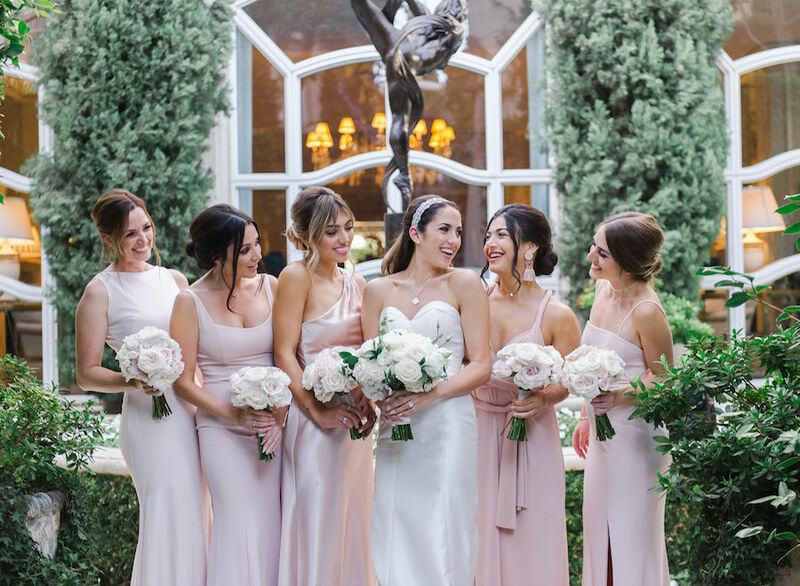 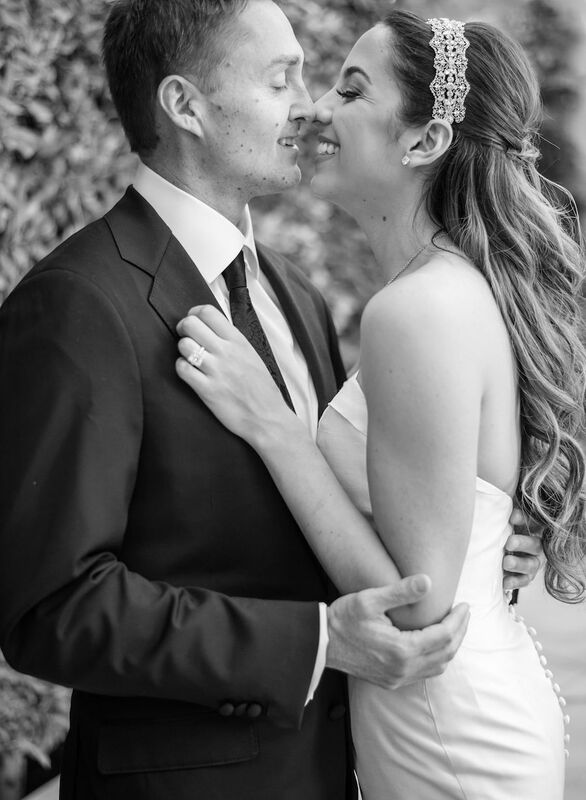 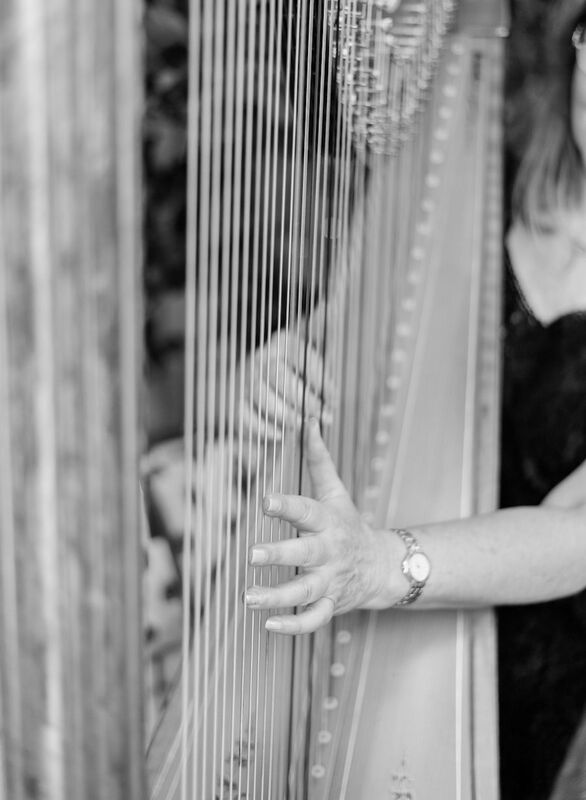 Continue below to see more photos from Jaclyn and Tim’s romantic wedding at The Peninsula Beverly Hills.